Sadly, I don’t think my take on Bob and Mr. Fischoeder (Fishoder? Fish Odor?) got chosen for their “Fan Art Episode”. So let me share them with you, in my “cartoony but grounded” style, with sad eyes and wrinkly faces. I was working with the brush today and did some headshots. A little Ego the Living Planet, a little noseless 90s Wolverine, a little Man-Thing. Here’s a wonderful, timely parody of Speedball from Marvel’s New Warriors. That’ll teach him for starting the Civil War! This is actually part of a one-page parody of parodies that may see the light of day…someday. Gwenpool, Agwengers, all this talk about Spider-Gwen and Gwen Stacy, but where is my Giant Size Gwen-Thing?!?!? 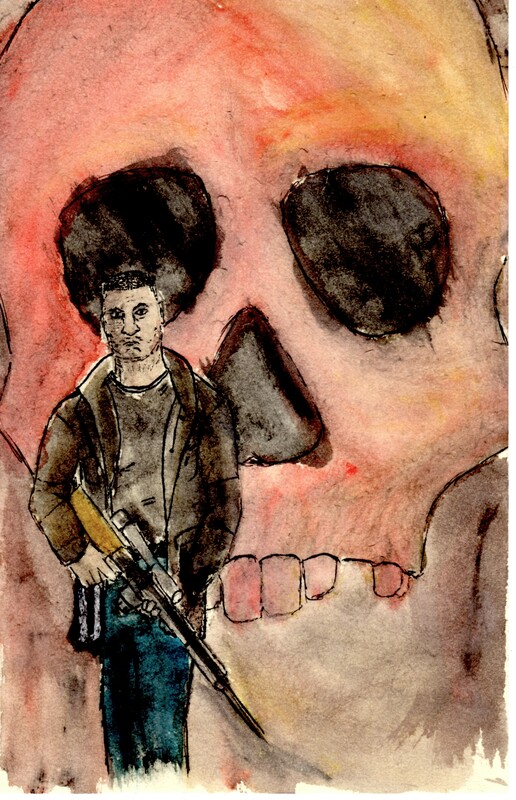 Since I enjoyed Daredevil Season 2 so much, I decided to pay tribute to the Jon Bernthal Punisher by watercoloring him into the Punisher 1 (2000) cover by Tim Bradstreet. Check out the inks or an untrimmed version. When I had this silly idea, I figured it would be best to keep it simple and do an homage to two of the more famous covers of the 70s, Machine Man #1 and Man-Thing #1. Using the wonders of MS Paint, I put together a hideous amalgamation and sent it over to my man Turner. What he sent back to me was better than I hoped for. He’s truly talented. 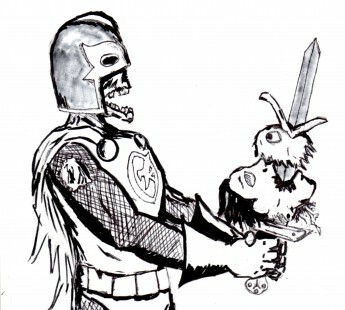 Check out all the other Machine Man-Thing 2099 posts on GiantSizeComicThings.com! 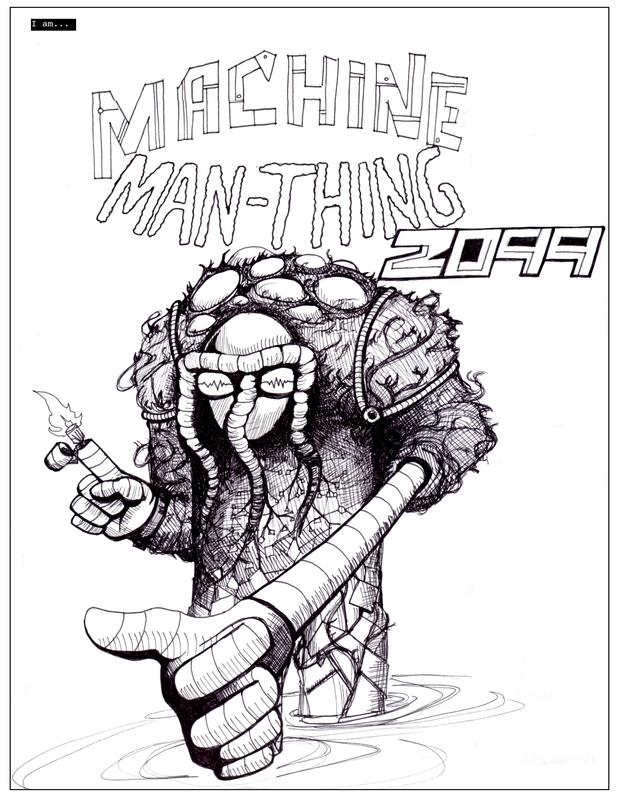 A pdf of Machine Man-Thing 2099, the fan art piece we’ve been working on. Turner did a bang up job with the character design and inking (this picture is all him). Just a little piece to put out there while we work on Gentleman & Scholar Comics’ latest offerings.